Thursday is Thali Day at Lily's. Every Thursday, we'll be serving vegetarian thali trays, the traditional Indian way. The a la carte menu won't be available but you'll love the variety of dishes in the thali. A thali is a tray featuring several small dishes of contrasting flavours that together create a balanced, harmonious, nourishing meal. 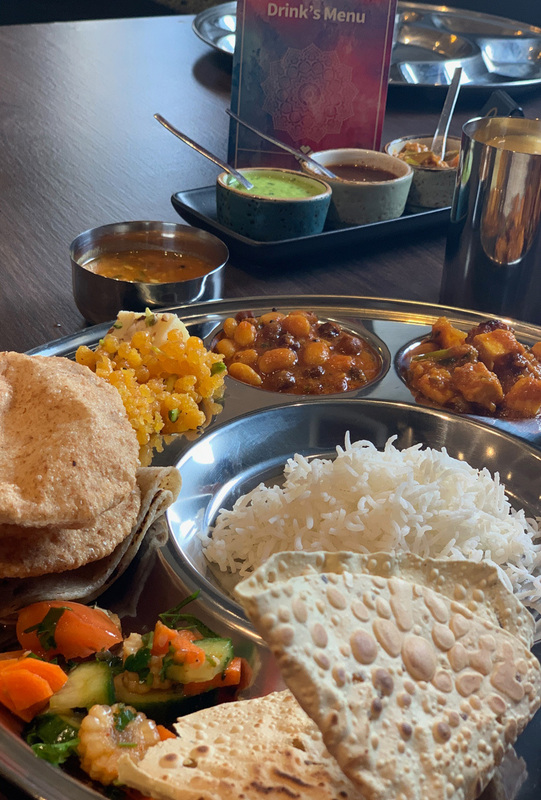 Our colourful thalis will feature homemade puri or chappati, rice, chutneys, two savouries, salad and three different types of curries or dhals – all made from scratch with fresh ingredients. This will all be washed down with either mango or salted lassi and not to forget two sweet desserts. The dishes will change from week to week but the thali price will always be the same: just £12.99. 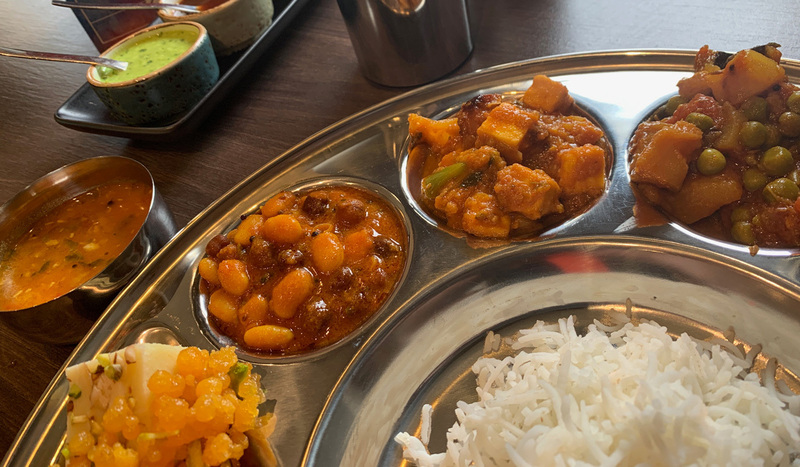 Why not come and see what's on our thali tray this week? Call us on 0161 339 4774 or use the link below to book a table.